Is it possible to get pricing that is clear and understandable? With Clearview Pricing, now it is. Clearview provides interchange plus zero pricing for business that want to focus on sales and growth rather then administrative tasks. Clear and predictable pricing can be yours day after day. When it comes to credit card processing, if you want to grow, you have to trust someone. Trust Clearview to give you an instant guaranteed price quote that you help return your focus to your business. Simply fill in your information on this page and we will send you an instant guaranteed price quote as soon as possible. With a considerable investment into technology, we have accessed tens of thousands of merchant accounts to bring forward the ability to create an instant price quote that will reliably predict your overall cost of processing. This algorithm is the reason we can guarantee your pricing without the need to see your statement. 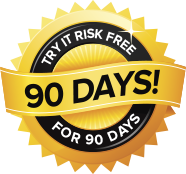 Try our instant guaranteed price quote for 90 days. If you are not satisfied that our quote provides the savings or the value you expected, simply cancel for a full refund. To good to be true, think again, we put it in writing. Click here to see our price quote guarantee. © 2015 First Data Corporation. All Rights Reserved. All trademarks, service marks and trade names referenced in this material are the property of their respective owners. CardConnect SwyftPAY is an independent sales agent for CardConnect, LLC. Ignite Payments, LLC is a registered ISO of Wells Fargo Bank, N.A., Walnut Creek, CA. CardConnect SwyftPAY is a contracted reseller of the Clover™ Solution.